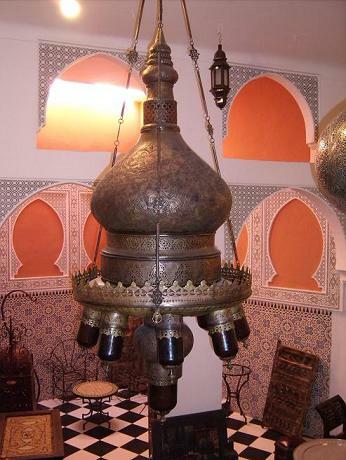 Unique & exotic large copper moroccan hanging chandelier. An outstanding workmanship from this old man " Haj Abdellah" almost 65 years of expierence of metal handtooling and carving. You just can't find similar chandelier in any other store. Took almost three months of work to finish up & give this amazing look to this chandelier. This chandelier is unique & great for any place. Made of rustic copper with amber moroccan bulds glass inside, hand tooled carefully. A great add to any home decor.